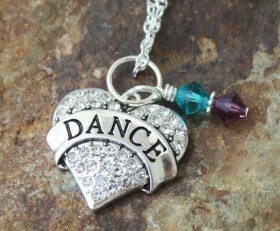 Dancers and Dance Moms alike will want this necklace. 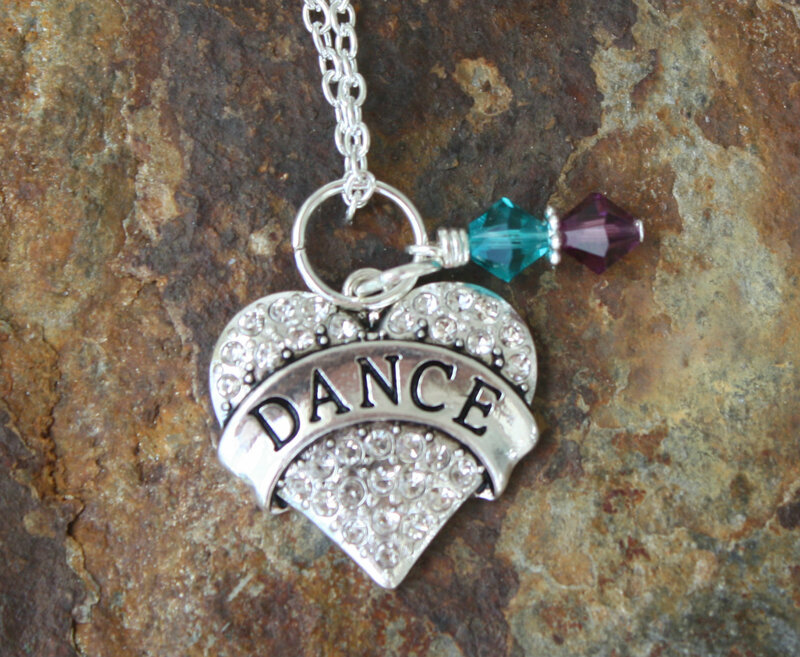 Beautiful heart with clear crystals and the work dance across it. It is accented by purple and teal crystals but you can choose the color of your crystals. When you wear this, you will get lots of compliments. 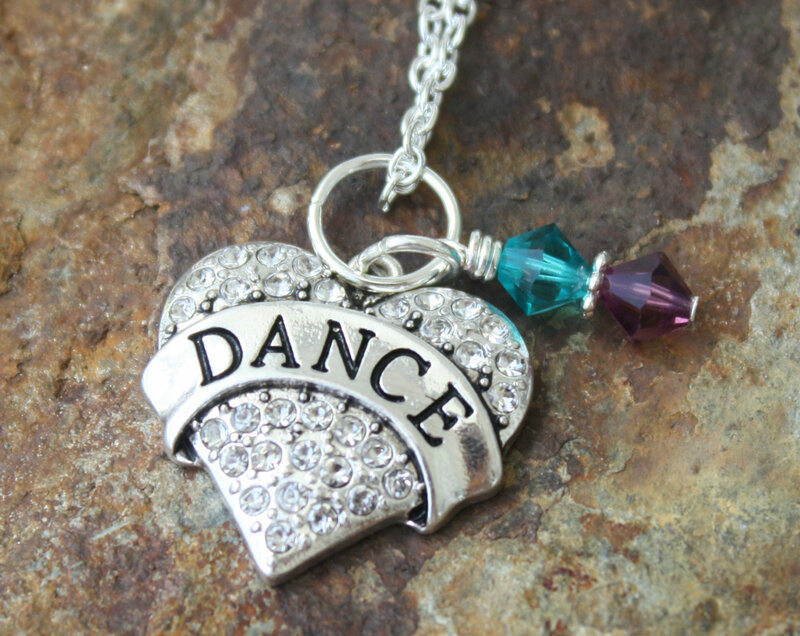 Categories: A Little Bit of Everything, Collegiate Jewelry, Dance & Cheerleader Jewelry, High School Teams, Shop.